Just beautiful, Anjali! 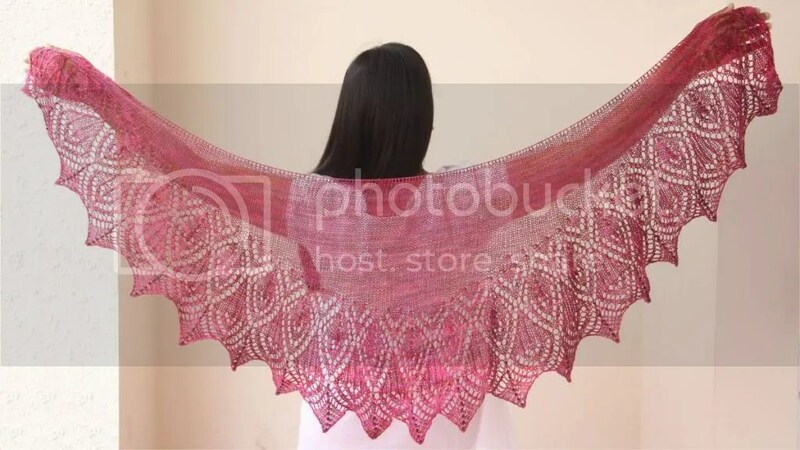 The delicate lace pattern is perfectly suited for the gorgeous yarn. It is indeed amzanig what miracles a little dampness can work, and always a bit of a worry until you actually see the item grown and shape up nicely. 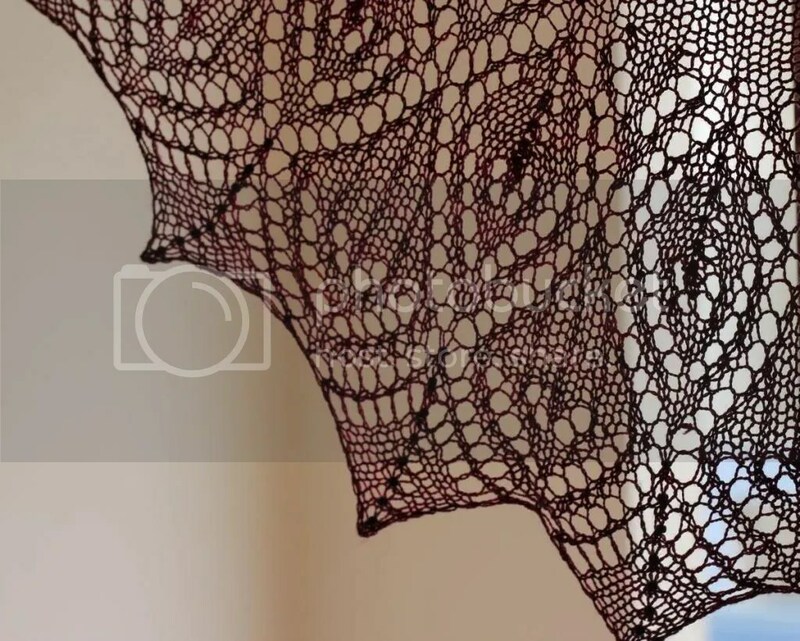 Just one of the thrills of knitting I suppose. That does look very pretty, will we see it once the pins are out?